Pupils of Walney Island’s St Columba’s RC Primary School were on a roll when it came to raising funds for the Bayb’s Maternity Appeal. Children from the school’s Little Doves Nursery, Reception and Years One and Two raised £1,500 for our appeal when they took in their wheelie toys from home – scooters and dolls prams – for a sponsored push around the large playground. The appeal, which closes at the end of next month (March), now stands at £225,000 towards its £250,000 target. It was launched by Bay Hospitals Charity to fund “extras” for the £12 million South Lakes Birth Centre at Furness General Hospital with the aim of making it one of the best places in the country to give birth. These “extras” fall outside the remit of what the NHS is able to fund but add much to what the centre is able to offer both staff and patients. The centre’s 14 en-suite rooms, where mum-to-be stays for her labour, delivery and until she is ready to go home have flat screen SMART TVs and it’s Bayb’s money that has been used to make the rooms’ décor as homely as possible and to equip them with cots that can be pulled over the bed so mum and her newborn can maximise skin-to-skin contact. All rooms also have wall mounted resuscitaires funded by the appeal should baby need a little extra help breathing when first born. And it’s not just comfort but also, choice that the appeal has worked to improve, funding three of the centre’s four birthing pools, while for the multi-disciplinary teams that will work in the unit, it has bought a SimMom as a continuous training tool. The SimMom is a computer controlled model with the touch of real skin that can be programmed to have a simple delivery or a complicated one, her body reacting in exactly the same way as the human body. 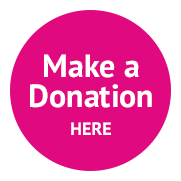 You can donate securely online to the appeal. Find out more about our fundraising events.